Precepting in free clinics is a special opportunity to serve vulnerable patients and teach learners committed to service and motivated by social justice. 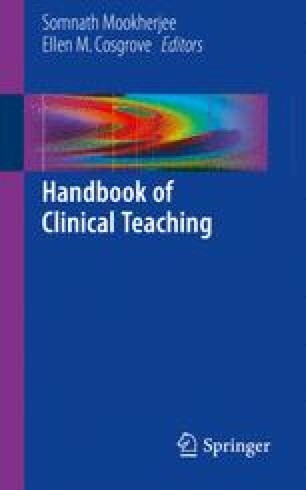 This chapter describes techniques for teaching effectively when contact with patients and learners is brief and discontinuous. We discuss the importance of facilitating reflection and development of structural competence among learners, emphasizing the role of the student as healthcare navigator.